App Builder Appy Pie, April 13, 2018: The bling of the tech enthusiasts – the wearables are now getting their due attention as progress is being made in the wearable app technology. We are aware of the most evident uses of the technology like taking pictures with voice commands, tracking your daily calorie expenditure, or receiving inbound messages. However, in the recent times there have been significant progression in mobile app development for wearables that has helped them survive the modern era in spite of there being a less than favorable forecast. If you are looking at wearable app technology and trying to understand the way these apps work, the technologies that help them work, and the future of wearable apps, then your search ends here! Right from the start of this year, wearable apps have emerged as one of the defining trends in the world of mobile apps. Wearable apps work on the basis of a sender and receiver paradigm. The wearable apps collect information by accessing the hardware including sensors and receivers using the available network that they are connected to, and then use this information to accomplish the desired actions or outputs. The outputs are then displayed on the wearable device. Let’s take an example, the Fitbit Activity Tracker is one of the most popular wearables that keeps a track of the number of steps you have taken. The way these inputs are gathered and the way the results are to be displayed decides the platform that these apps would run on or be compatible with. This means that if the device by itself has the ability to accept and display the result, then you may choose to work with any platform including iOS, Android, Windows, or even a custom-made platform. In case the wearable device is dependent on a mobile app to accomplish these functions, then you would have to get app developed by Android, iOS or any other kind of developer depending on your requirements. If you are an app developer or an entrepreneur looking to start a business that would be enhanced by a mobile app, then it is important that you make yourself aware of the latest trends in mobile app development. This is specifically true when it comes to wearable technology, if you are planning to dabble with it, you must keep yourself informed of al that is going on with the wearable apps, and where they are headed. This will also offer you an opportunity to understand and identify which new features and functionalities may be added into the app that you are building, which by itself is a great competitive edge. 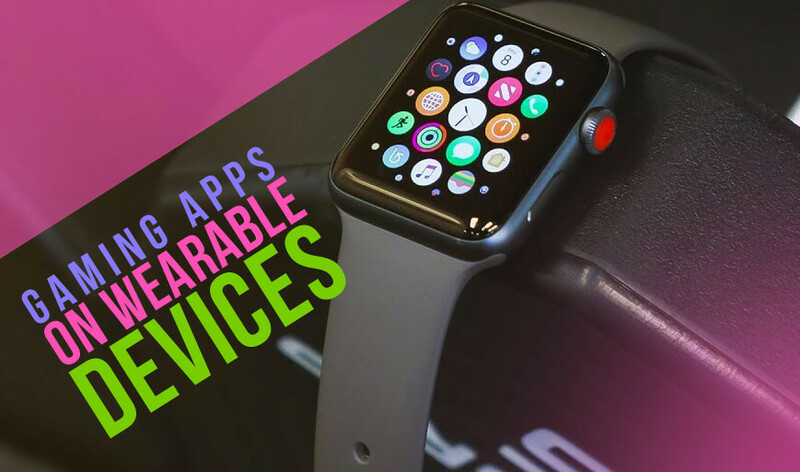 As an app developer you must be aware of the compactable apps within the wearable devices that make it possible to help connect with other devices and then transfer data. This comes as a major challenge for the app developers because it means that they would have to design apps for these wearable devices in a manner that would distinguish them and differentiate them from the other mobile apps available on the app stores. The idea here is offer maximum visibility to the app, especially because of the small size of the app, but the strategies related to the trends of app development stay the same all through. So, whether it is a mobile app or a wearable app, you would still have to pay attention to the App Store Description, ranking, ratings & reviews etc. to make your app discoverable by the right audience. Gaming and the mobile app industry have gotten along quite famously, and people have responded extremely well to mobile game apps. Whether it is cricket, baseball, or Pokémon Go, the games have had their users or players going crazy. This is an indication that the gaming industry is all set for an evolution and with AR & VR technologies taking on the center stage, the gaming industry is all set for a revolution. Add wearable devices to the equation and the results are unimaginably promising. The user might have an Apple Watch or a Google wearable, wouldn’t they love it, if they could play their favorite game on it? Playing the games take on another dimension when it is tied to your wrist! The games played on wearable devices would offer a more ‘real’ experience due to their pervasiveness, well designed interface, ease of use and other such factors. However, the wearable devices cannot be connected with the smartphones, which means the game apps for wearable devices would emerge as a bigger challenge for the developers in the future. Like we talked earlier, as an app developer it is important to pay attention to the discoverability of the app, but there is one more aspect that must feature high on your list of priorities – user interactivity. As a developer you must ask yourself about and look for ways to work on user interactivity so that the entire experience becomes a lot more memorable. One of the simplest ways to address this issue is by introducing significant features that would include a single tap, a swipe or other such gestures. When we make the main features so easily accessible, we are essentially helping the users save up on a lot of time. This way the users do not have to tap every time in order to search for the functions that they want to accomplish with the app. It is these kinds of features that have been termed as smartness redefined and is one of the trends that are responsible for making wearable apps so much more desirable than before. The healthcare services have evolved and are gradually becoming more and more accessible while mobile apps have been helping them reach everyone who they want to serve. The wearable devices have made a deep mark in this arena as they are getting quite comfortably and rapidly getting a little more personal with each new innovation. The wearables today are assuming the role and importance associated with that of a personal health advisor especially for those users who are suffering from some kind of an ailment that might need continuous monitoring. In fact, in one of the recent research projects it has come to light that wearable apps have managed to gain the status of an essential equipment when it comes to the diagnosis of certain illnesses by keeping a track of and monitoring myriad vital parameters including but not limited to sugar levels, blood pressure, heart beat and many more. These devices offer the additional advantage of keeping digital records of the patient while making suggestions and recommendations regarding the preventive measures that can be taken for the health condition. All things considered, the future of wearable apps in the healthcare industry does seem quite bright which might pave the way for app developers to shift their attention from smartphone to wearable devices for app development. IoT or Internet of Things has, in the short period of its existence has managed to influence the future generation technology especially app development in a big way! When you add IoT to the mix of wearable devices and the apps that run them, you have a golden combo in your hands. This is especially noticeable when you consider the launch of Apple and Google smartwatches in the last year. In the recent times the IoT technology has been partnered quite easily with the wearable devices to increase the safety quotient in various industrial sectors including high risk industries like mining, manufacturing, oil & gas, and transport. In the near future it would be wearable devices like Apple Watch and a number of other smart devices from reputable companies like Samsung, Google, Motorola, Pebble, Adidas, Jawbone, Fitbit etc. will be the proponents of the entire IoT world. It is interesting that in the past it was predicted that IoT would run the wearables out, but it seems the prediction is only going to be overturned as the combination of the two seems quite potent. Global Positioning System or GPS technology is something we have not only gotten familiar with, but accustomed to. This technology has become a common phenomenon and has found its use in a number of industries including traveling, food ordering, logistics, or any other industries that rely on finding best possible directions & routes. Now that the wearables have found their way to partner with GPS technology, users are now easily getting their directions straight into their hands. This is one of the most crucial areas of wearable development. The GPS technology too is going to be further honed when it is used on wearable devices because it would then be connected to a greater variety of devices that are easier to handle. Today the Beacon technology and the Wi-Fi technology have become instrumental for any organization or entity engaged in the travel and retail industry and the wearable devices too have come under their influence. The technology has been quite effective in expanding and attaining new customer base while offering an additional scope of mapping especially for the bigger stores. It has also proved to be a big blessing for the travelers who would love to explore new destinations. Beacons are essentially the buttons or links to the physical world around you. Quite like the buttons that webpages use to interact with the users, apps make use of beacons to incite events and CTAs and facilitate the interaction between users and various digital or physical objects including automation systems, door locks, deals or offers, or any other kind of notification. The experience of beacons will only get enhanced when it is transferred to the wearable devices. These devices also easily connect to the Wi-Fi or hotspots the whole experience only gets more enjoyable. Th evolution in the wearable technology is indicative that the wearable devices would take on the role played by smartphones today. Hence the issue of protecting user data would emerge as critically in this context as well. Hence the app developers for wearable devices too would take on offering extra security layers for protection of data as a norm more than a feature. Though many wearables in their efforts to provide data security would employ software encryption, however in some cases it might be necessary that a tougher security be employed. There are a great number of wearable devices that are adding new age features like contactless payments. 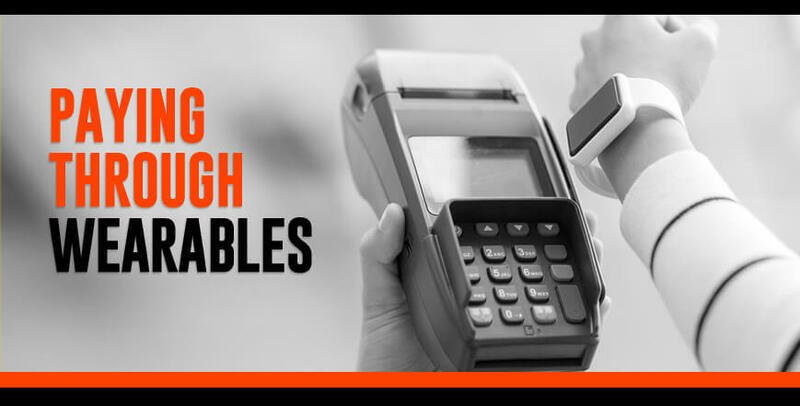 A recent study indicated that the global value of mobile and wearable device cashless payments is expected to reach an annual figure of $95 billion in the year 2018. The latest innovation in the field of payments is the NFC or Near Field Communication has made it possible for the wearable apps to be linked to the bank accounts of the users and use it for instant payments. Put together both the technologies would emerge as one of the simplest and most secure ways of payment. Wearable Devices have seen an overturn of opinions of experts and users alike with the experts predicting them to fall and fade out and then changing their opinion declaring a revolutionary scope for them in the future. However, as an app developer if you had any misgivings about going ahead with developing an app for wearables, the article might have helped you make your decision in favor of them. It is wise to adapt to the new trends in your field if you are planning to stay relevant.